In the Episcopal Church, worship is what defines us, the center of who we are. Worship in Episcopal churches is conducted according to the Book of Common Prayer (the “BCP”), but the book allows a wide range of possibilities in how the worship might be conducted: simple or elaborate, formal or informal, spoken or sung. In any Diocese, the Bishop is in charge of the worship and sets certain guidelines for how it is conducted. These guidelines are spelled out in a document called a “Customary.” In the Diocese of Hawai‘i, Bishop Robert L. Fitzpatrick has specified that “the only authorized forms for public worship in the Diocese are those approved by the canons of the Episcopal Church and action of the General Convention.” Congregations are to conduct worship according to the Book of Common Prayer; they may also use Enriching Our Worship, if the clergy-in-charge of the congregation informs the Bishop and later sends him an evaluation of the materials. The Bishop’s Customary may be found HERE. Bishop Fitzpatrick has authorized translations of the Eucharist from the Book of Common Prayer in Ilokano and in Chuukese for use in the Diocese. 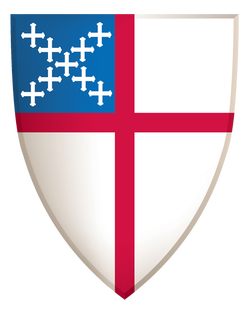 The Episcopal Church itself has authorized a Hawaiian Eucharistic liturgy. It may be be found on their website in both Rite I and Rite II. Book of Occasional Services - Contains useful rites and prayers such as seasonal blessings, the blessing of a home, a New Year’s Eve service, welcoming new people into a congregation, commissioning lay ministries in the church, the dedication of church furnishings, and many more. Find it on the Church Publishing site here. Holy Women, Holy Men (a revision and expanded version of the former Lesser Feasts and Fasts) - A calendar of commemoration of saints. Many of the commemorations listed here are in “trial use.” Includes readings and a one-page biography of each of the people listed. Also includes readings and prayers (called “propers”) for weekday Eucharist services in the seasons of Advent, Lent, and Easter. Find it on the Church Publishing site here. Enriching Our Worship 1 - Supplemental liturgical texts for Morning and Evening Prayer, the Great Litany, and the Holy Eucharist. Find it on the Church Publishing site here. Enriching Our Worship 2 - Supplemental liturgical texts for ministry with the Sick or Dying, and the Burial of a Child. Find it on the Church Publishing site here. Enriching Our Worship 3 - Burial Rites for Adults, and the Burial of a Child. Find it on the Church Publishing site here. Enriching Our Worship 4 - The Renewal of Ministry and the Welcoming of a New Rector or other Pastor. Find it on the Church Publishing site here. Enriching Our Worship 5 - Liturgies and Prayers Related to Childbearing, Childbirth, and Loss. Find it on the Church Publishing site here. The RiteSeries – An online source for all the liturgical texts listed above (in RiteBrain), as well as music (in RiteSong) and a bulletin builder (RiteWorship). Each component of the RiteSeries is available by subscription. The RiteSeries also has an online schedule builder (RiteTime) and a curriculum builder (RiteInformation). The Lectionary Page – Provides the Eucharist readings for each Sunday and for those saints’ days already approved by General Convention (not those in trial use). Also has links for readings for marriages, burials, and some other seasonal services, as well as a “reverse lectionary,” by which one can find when a particular passage will be read. Sermons That Work – A sermon for each Sunday. Published by The Episcopal Church, from a variety of people. When a church is holding Morning Prayer on a Sunday, whether led by a lay Worship Leader or a Deacon, this is the source for the sermon. The Bishop does not authorize anyone other than priests to preach in the Diocese, unless they have special permission from him. Justus site – Has the BCP in a variety of formats (RTF, WordPerfect, Word, PDF; Kindle, eBook, iPhone) and languages, including Hawaiian. Also provides links to the equivalent books in the various countries and languages in the Anglican Communion throughout the world. These sites are updated each day to provide that day’s form for Morning Prayer and Evening Prayer, including the Scripture readings. Both of the sites listed have both a website and an app for mobile devices. Mission of St. Clare – Provided in both English and Spanish. Online Bible resources may be found HERE.